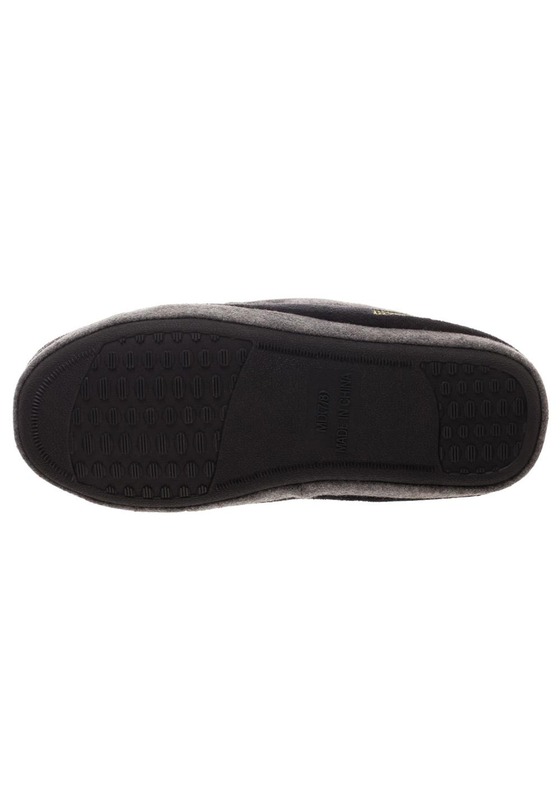 Large - €23.99 Only 1 left! Sure, a Halloween feast is fun, but it sure can leave you tired! If you're anything like us, there's nothing you love more after a fabulous festivity than to take off your costume, wash off the layers of makeup, let your hair down, and cozy up by the fire and watch a great Halloween film (while eating loads of pumpkin pasties, of course!). 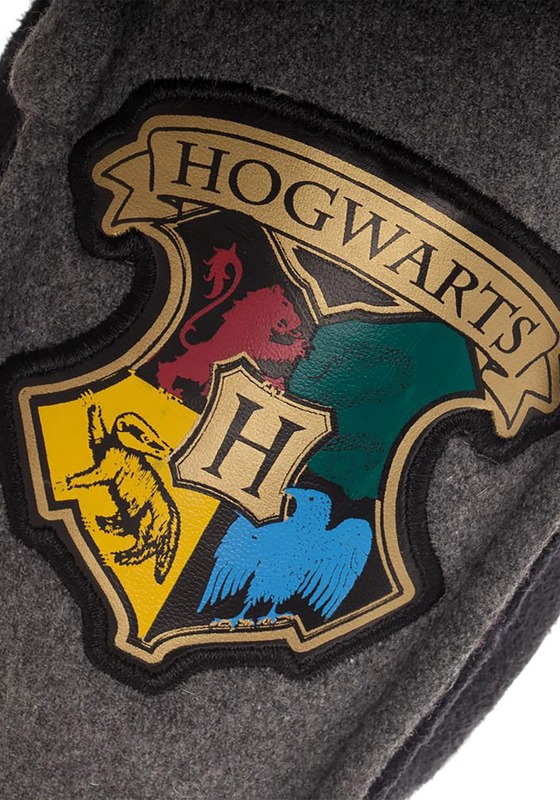 Well, we have some good news. 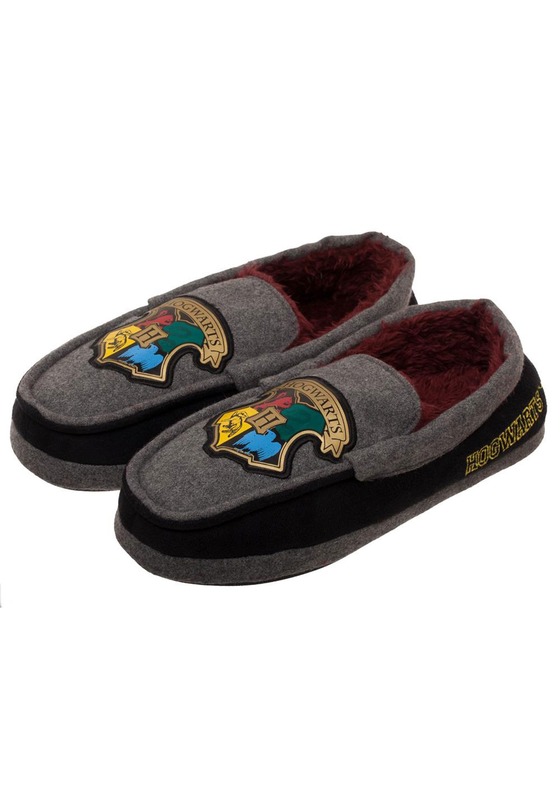 These Harry Potter Hogwarts Crest Moccasins are ready to make your Halloween after party a whole lot cozier! Those late October winds can bite at your fingers and nip at your toes, so coming home to these furry slippers will warm you up faster than you can say butterbeer! 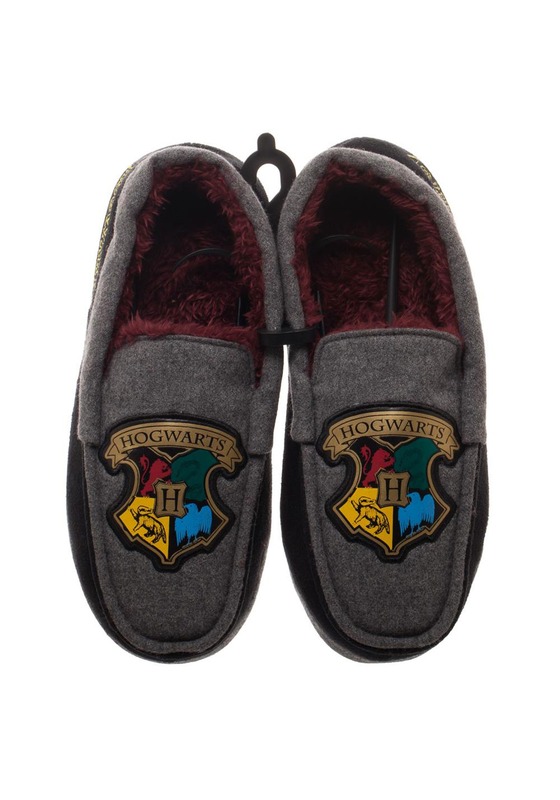 The great thing about these officially-licensed slip-ons is you can wear them around the house, as a slipper, or choose them as a super-comfy option for trick-or-treating, thanks to their hard outer soles. 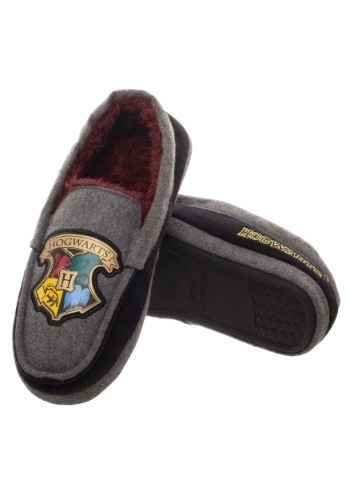 But that's not all...this pair is practically magic with cute and cozy faux shearling lining in a warm burgundy hue and an embroidered Hogwarts house crest emblazoned on the toes. With this pair waiting for you by the hearth, you'll look forward to your post-Halloween plans just as much as the parties, themselves. 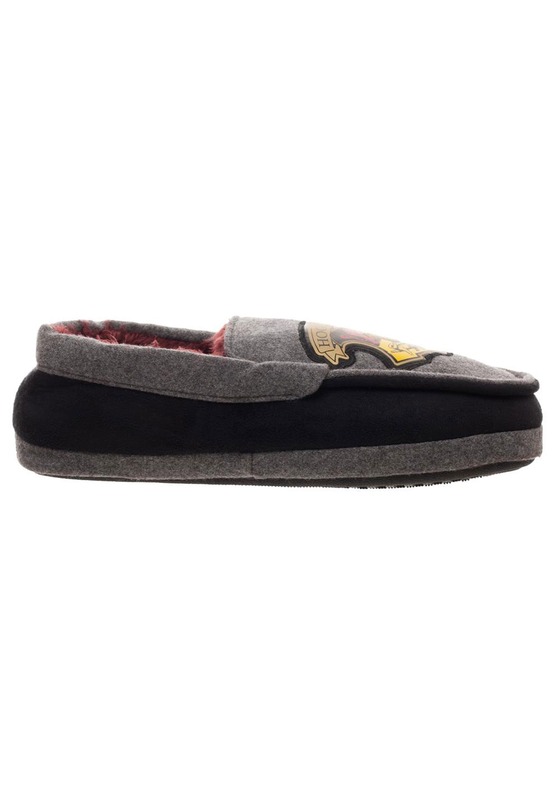 And these moccasins can take you straight through winter, keeping you warm until spring thaw!